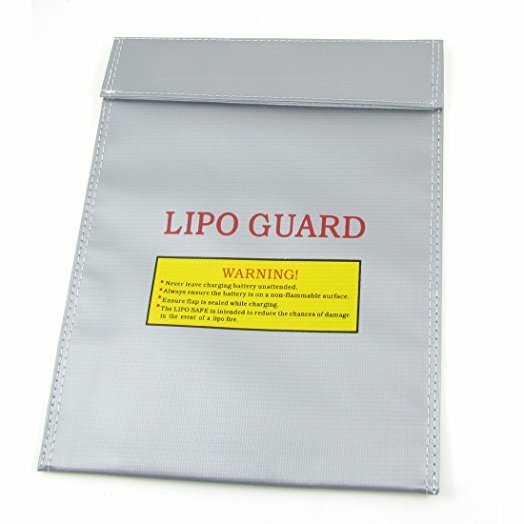 Lipo Guard - safe battery charging bag. 230 x 300mm. Includes XT60 connector fitted to the bag and croc clips.